Our family is laughing heartily reading your account of your departure and remembering ours. One of our first big losses was our debit card too! Can’t wait to read the other entries and glad you found “fivepacksoneworld”! So inspiring Aimee. Dougie and I always said we would ‘travel with the kids’. Four kids down, oldest nearly ten, youngest just turned three, and we’re still dreaming, not doing. I think it’s time to start planning. I am going to direct Dougie to your blog. 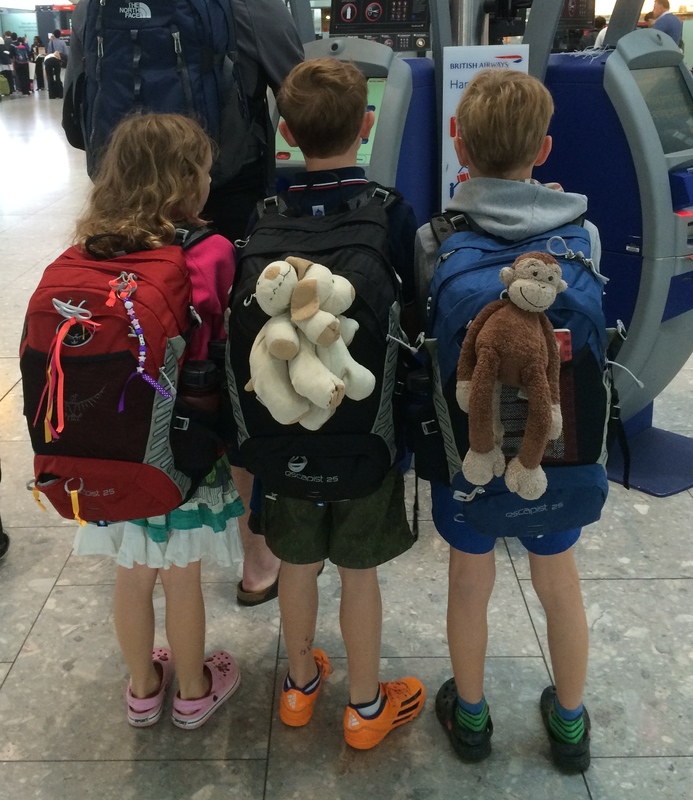 Would love to hear the background to your trip too – how did you make it work with – work/school/house etc too? It feels as though those are the things that hold us to the ground. How exciting! Your kids are so lucky to be given such an awesome opportunity 🙂 I’m planning on doing a three month trip around Ecuador, Peru, Bolivia, Paraguay and Chile next year, so I’ll be following you on your journey for some tips! 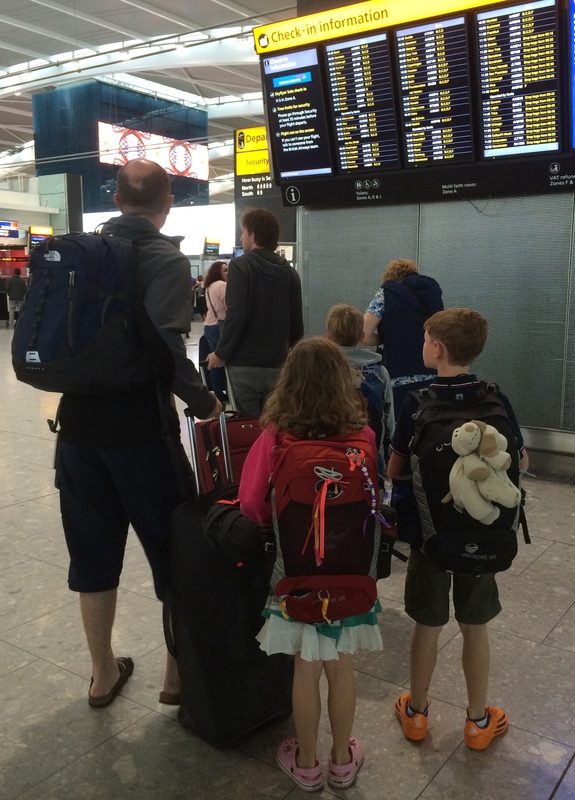 Good luck – hope you all have the best time imaginable.